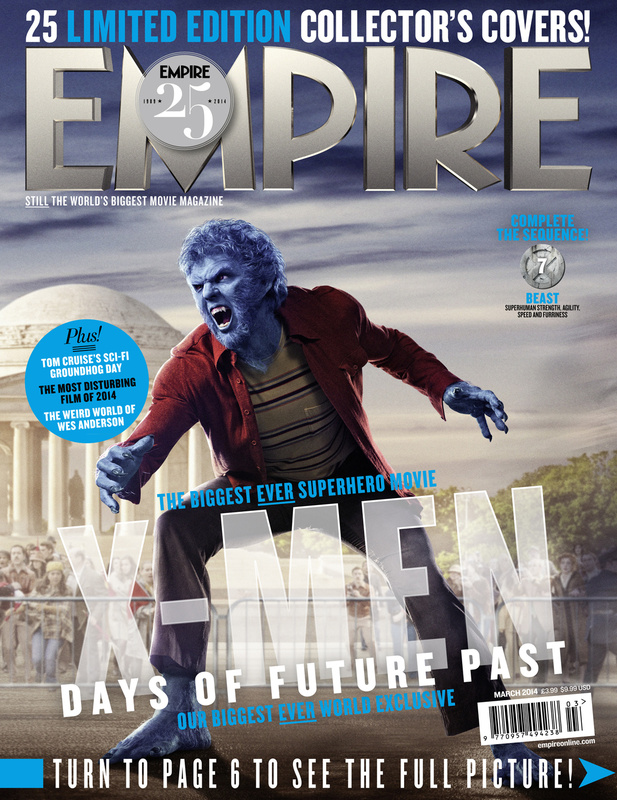 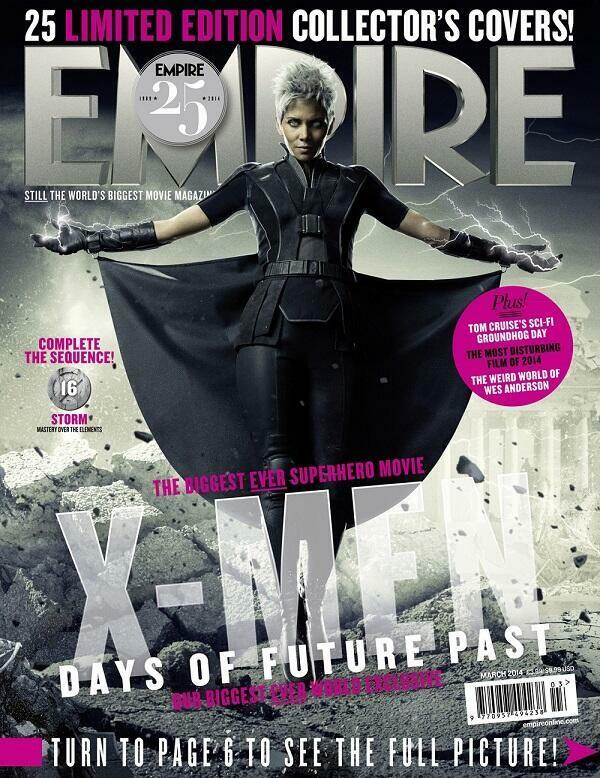 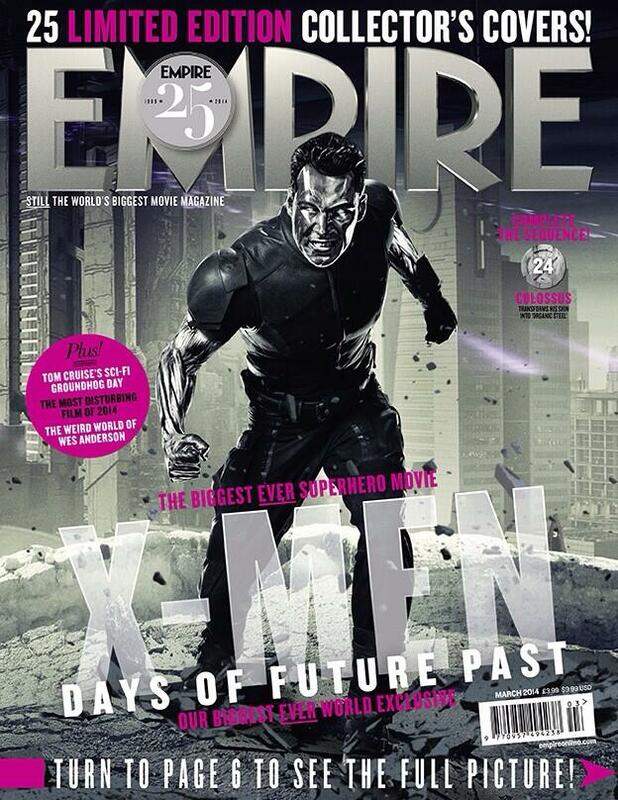 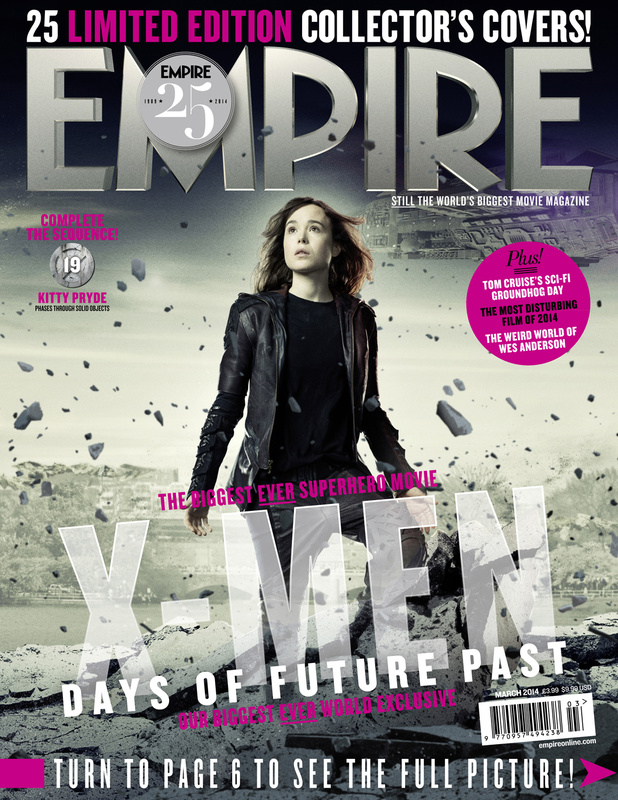 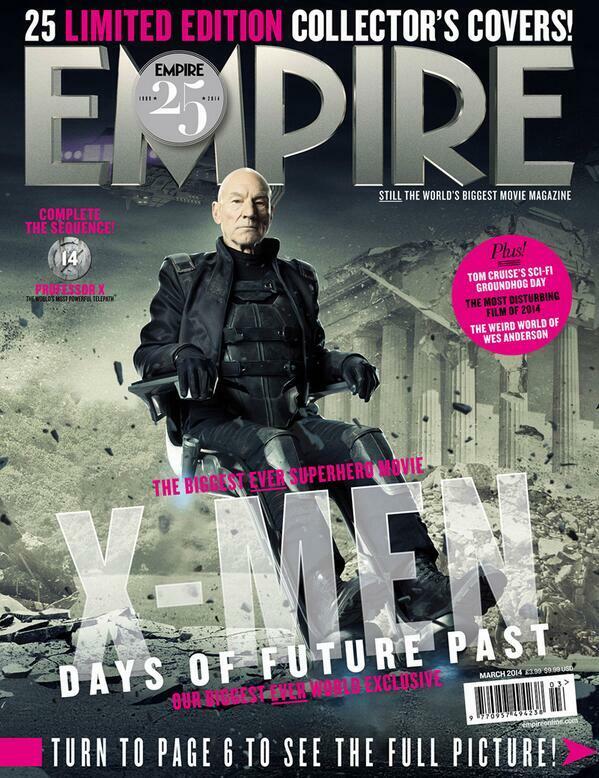 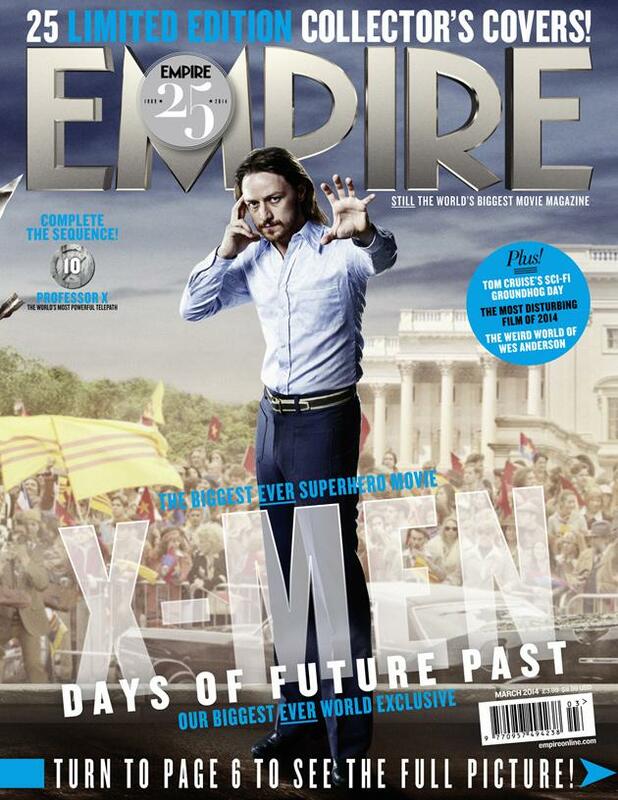 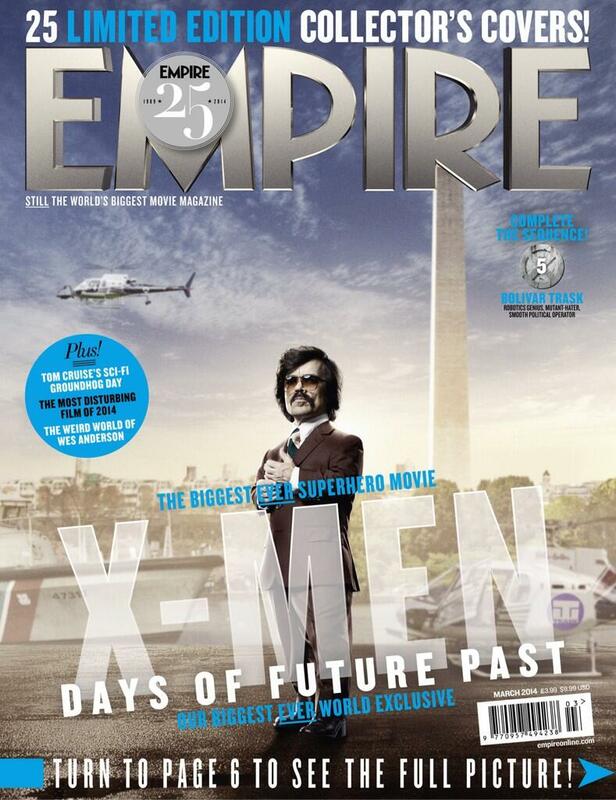 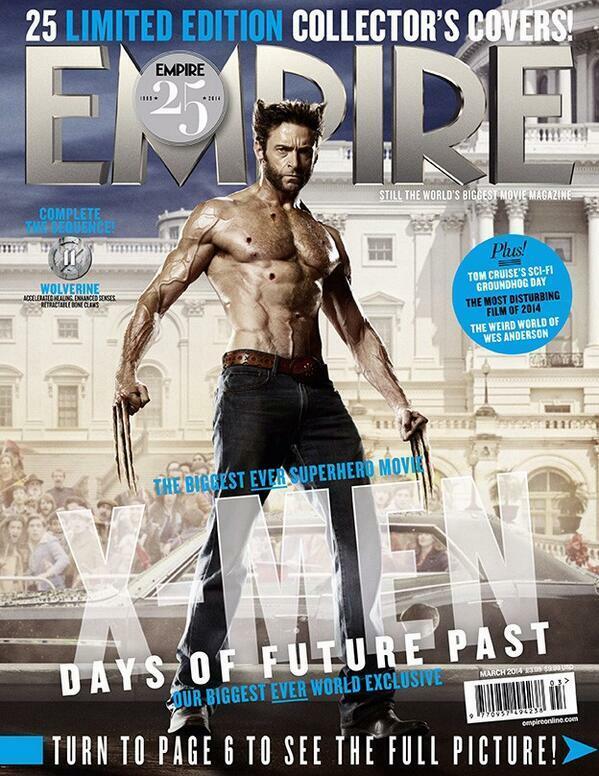 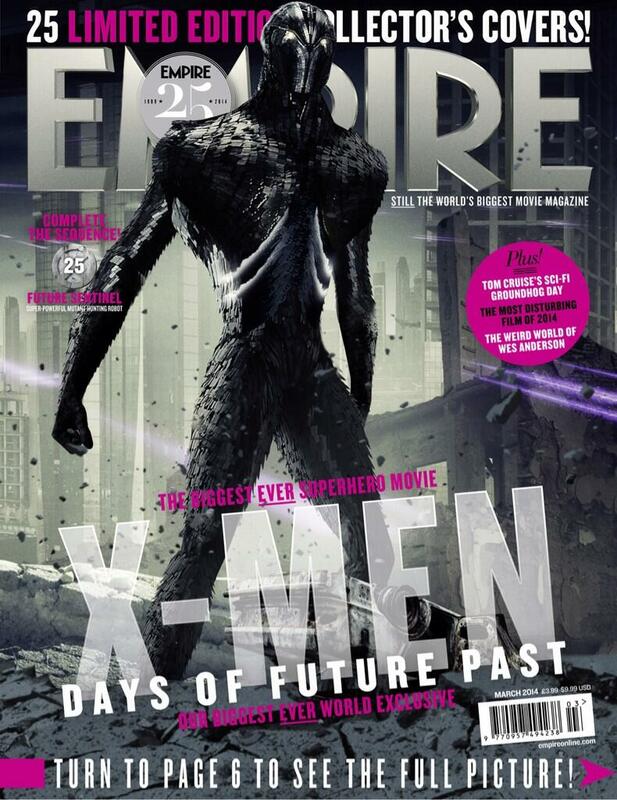 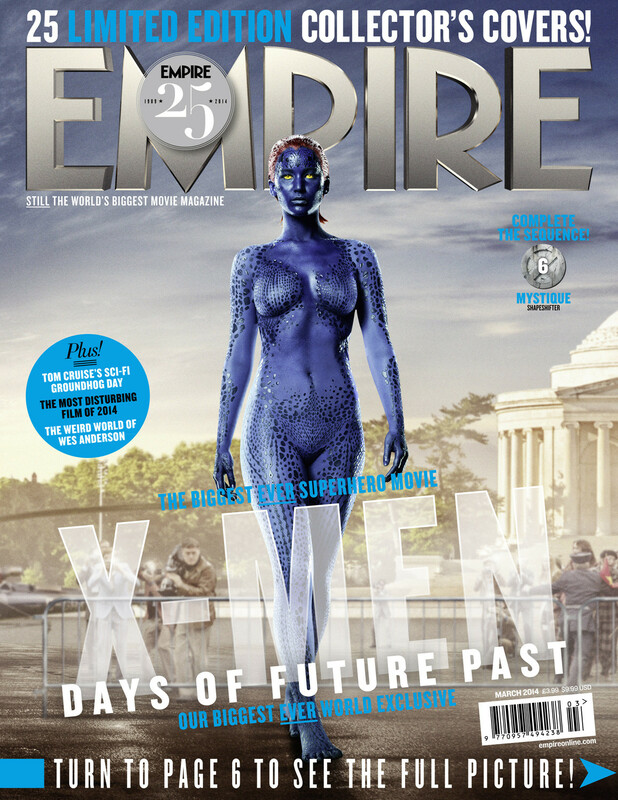 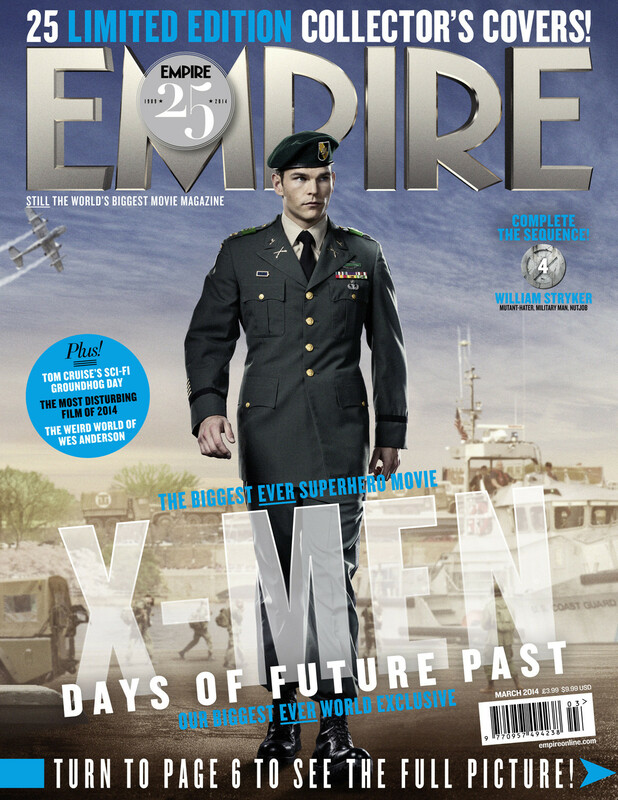 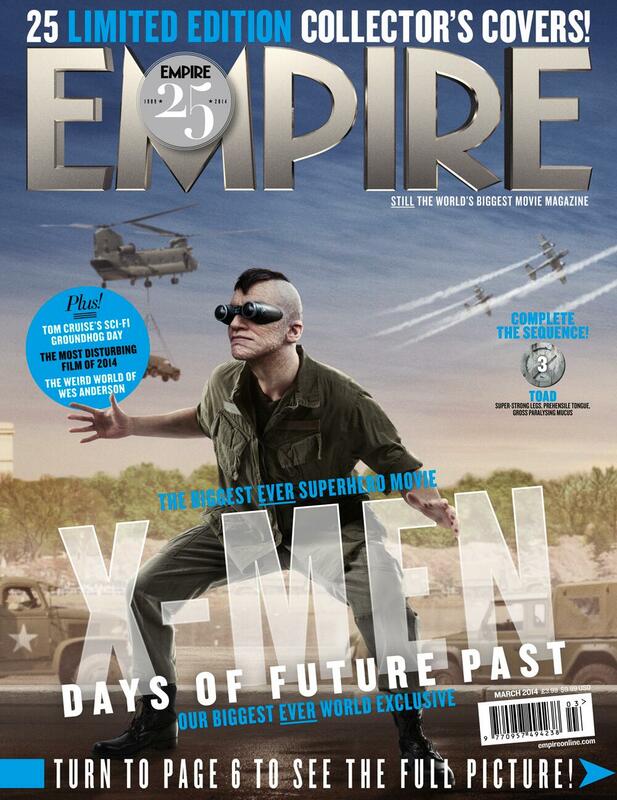 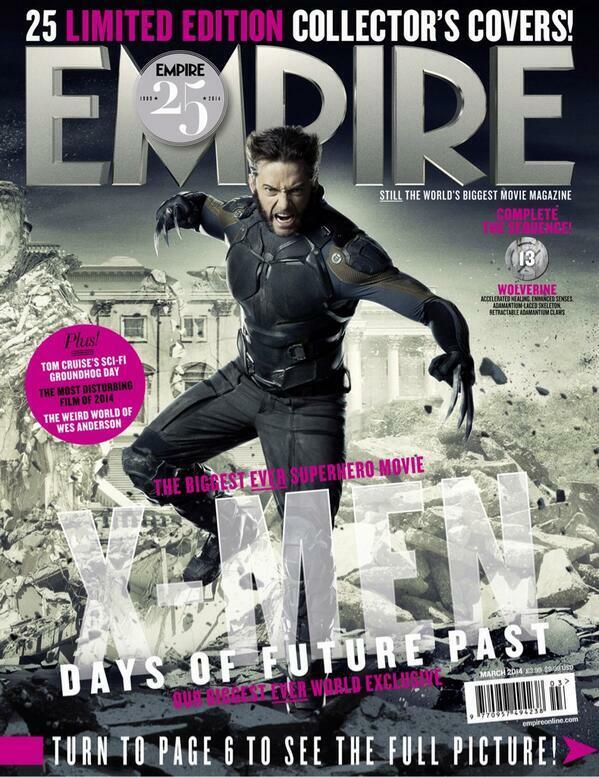 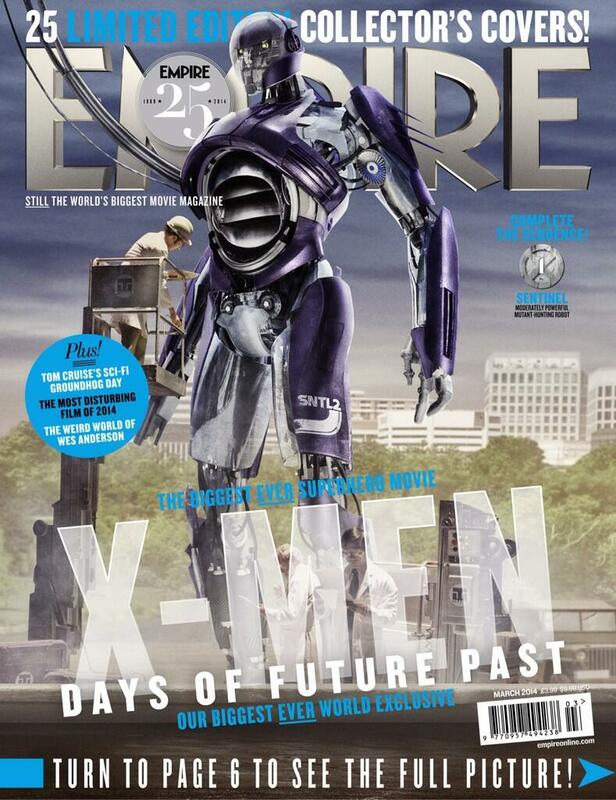 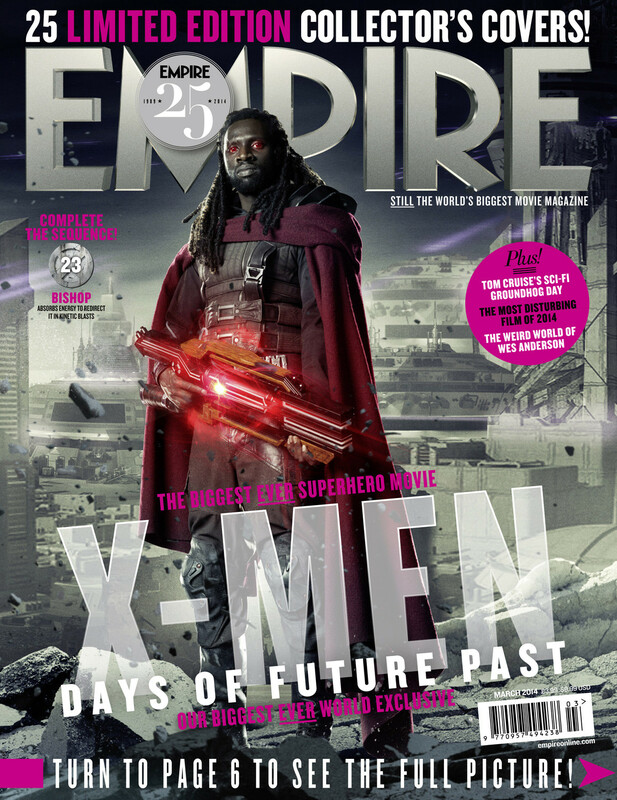 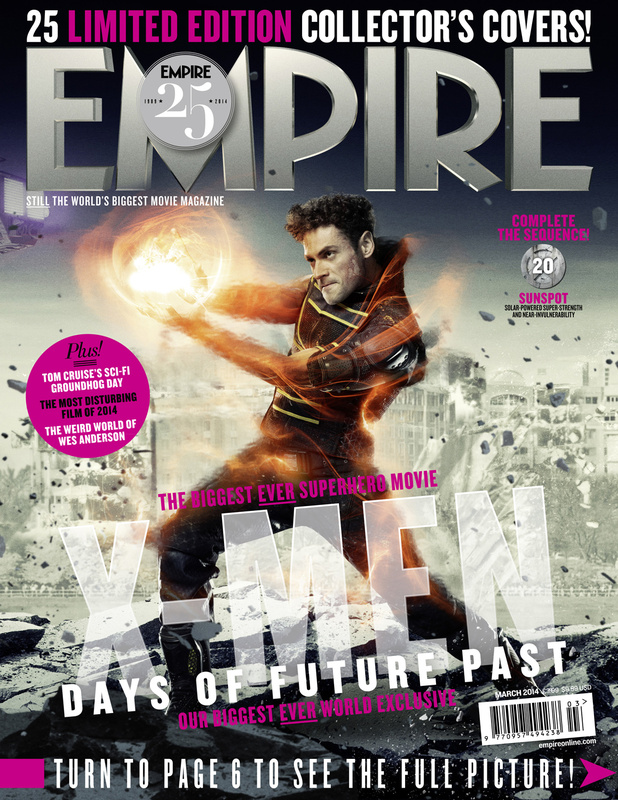 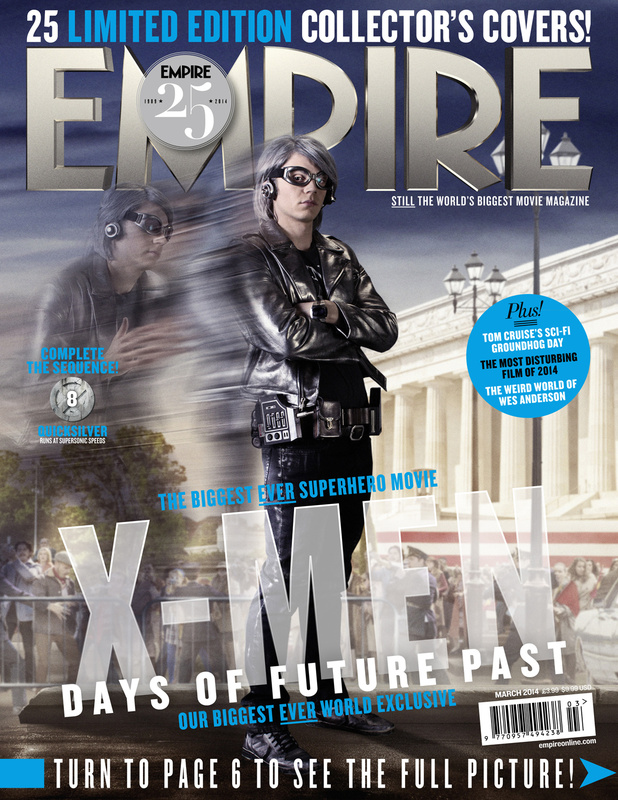 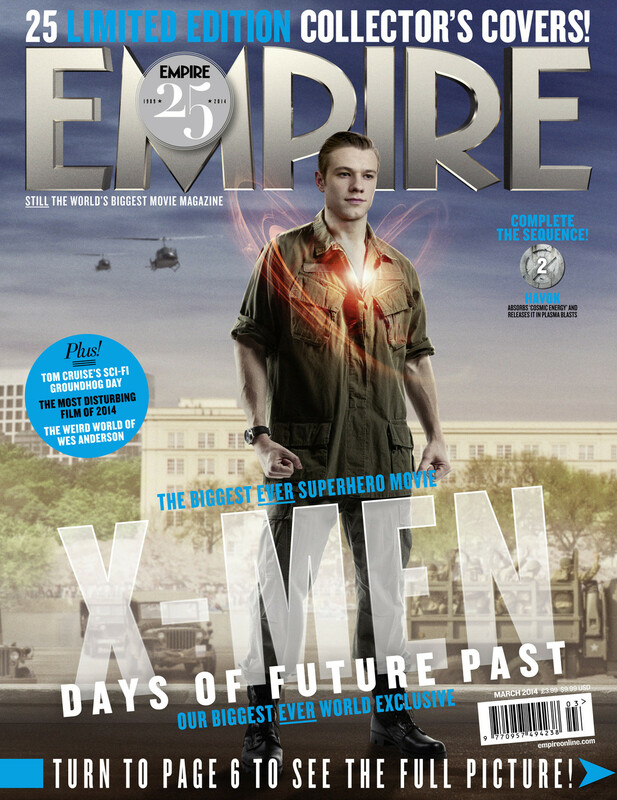 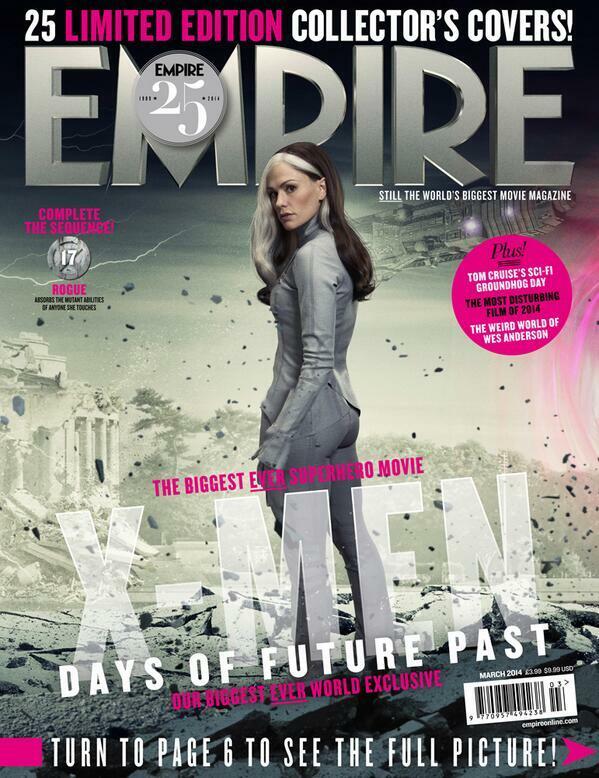 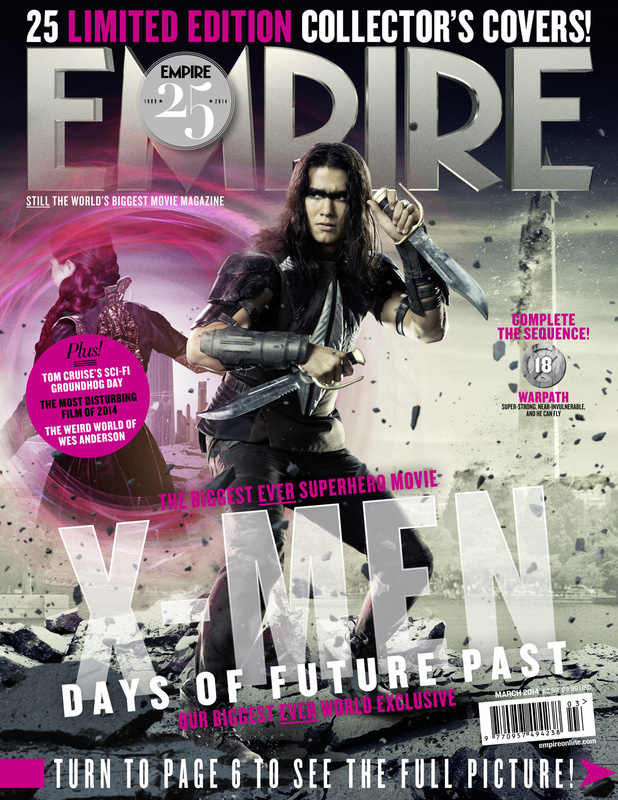 As part of their 25th Anniversary Special, Empire Magazine is rolling out 25 collectible covers, all featuring the cast of this summer’s in-betweenquel X-MEN: DAYS OF FUTURE PAST. 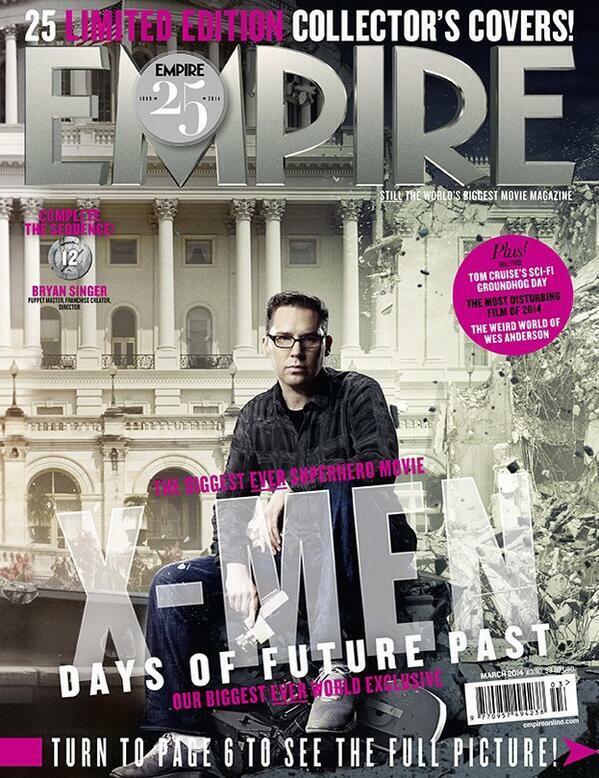 There’s even a cover for director Bryan Singer as he returns to the franchise he started in what will be the most ambitious of the Fox mutant movies. 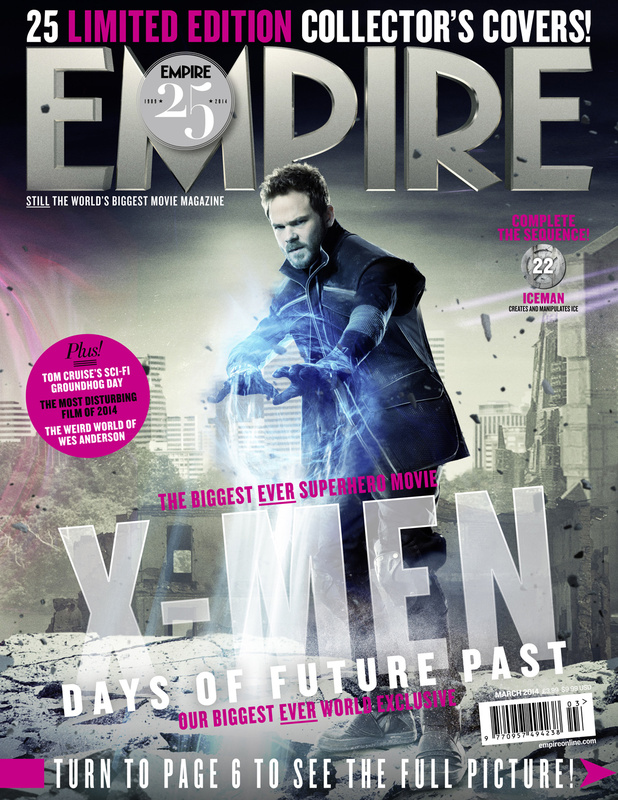 The story, which will include both the casts from the original trilogy and the extremely well received X-MEN: FIRST CLASS, involves a time traveling (sort of) Wolverine going back from the future to the past to stop a cataclysmic event. 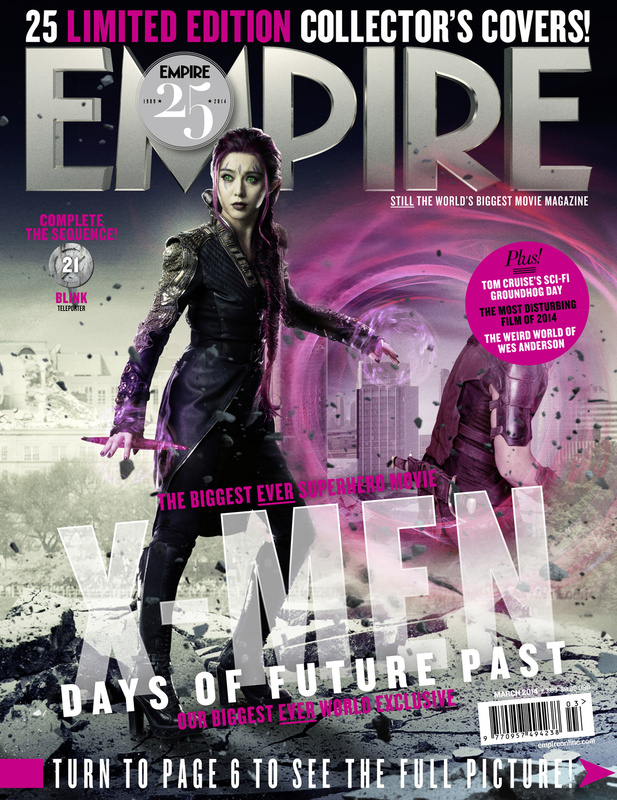 These covers provide us our first look at several of the characters in the film including the new version of Toad (originally played by Ray Park in 2000’s X-MEN), Sunspot (Adan Canto), a future Sentinel and even Rogue (Anna Paquin), who according to Bryan Singer did not even end up making the final cut of the film (curious as to why they would include her in the covers then….). 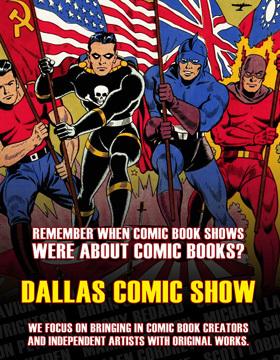 So, check them all out below and let us know which one is your favorite. 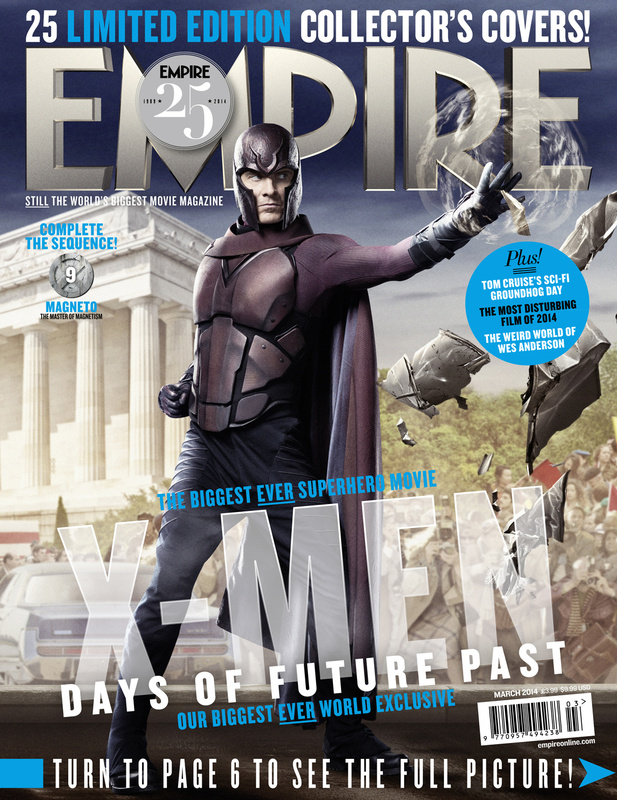 X-MEN: DAYS OF FUTURE PAST is directed by Bryan Singer and stars Patrick Stewart, Ian McKellen, Hugh Jackman, Michael Fassbender, James McAvoy, Jennifer Lawrence, Halley Berry, Nicholas Hoult, Ellen Page, Shawn Ashmore, Peter Dinklage, Omar Sy, Daniel Cudmore, Fan Bingbing, Boo Boo Stewart, Adan Canto, Evan Peters, Josh Helman and Lucas Till. 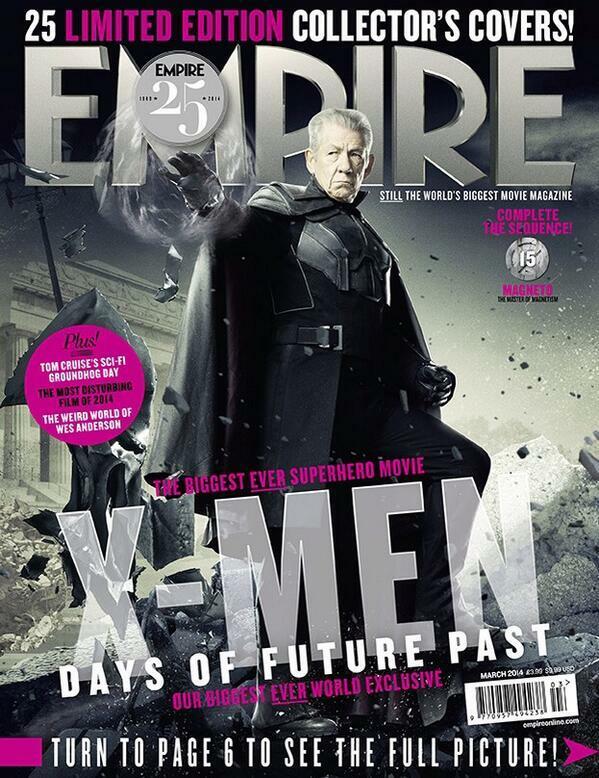 X-MEN: DAYS OF FUTURE PAST is set to hit theaters on May 23, 2014.